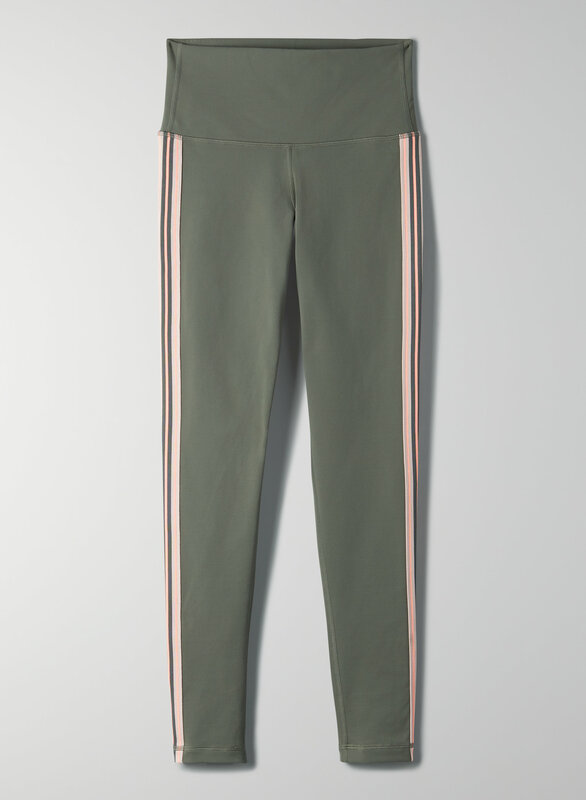 Great casual/workout pants. I love the strips down the side of the leg, the fit in unbelievably perfect for me, (usually the legs are too long, but not this style). I have 4 of them!! bought these leggings with high hopes. they look cool and the fabric is thick and soft, but the seams around the waist started coming apart on its 5th wear. the thread around the waist is slowly unravelling completely. this is disappointing, i feel like the leggings are falling apart, and expected them to last longer. They are super comfty to wear, they stretch out as you wear them! My second pant in this style. Good compression and comfortable. I want them in more colors! This is my second pair and I love the fit! The high rise is very flattering and they stay in place during my workouts!